You would have thought that they learned their lesson with the iPhone debacle, but they haven't. ...That domain should have been procured before the January 9, 2007, iPhone announcement, even if the amount paid for it was still the same, instead of June or July 2007. But there is no excuse for the debacle surrounding the iPodTouch.com domain, created on December 21, 2005, and transferred to Derek Nuhn, former Vice President and Chief Operating Officer of Semiconductor Insights, on August 27, 2007 (Apple proxy? Insider information or just plain speculation?). The first generation iPod (iPod Classic) was launched on October 23, 2001, so why didn't Apple register the associated domains before announcing the product? These innovators should have been thinking ahead. The $35.00-50.00 fee (at that time) would have been nothing to Apple. As a computer corporation, Apple should be more proactive in securing its domains; otherwise, they will forever be putting out fires and chasing after the domains they need and paying mega bucks for them. Apple isn't the only major company behind the eight ball, of course, but their CEO's should know better. A company in the business of developing innovative electronics ought to be taking some steps to get its domain department in order. Set up a domain department, and hire a domain expert whose sole job is to manage the company domain portfolio. This person's job would entail registering, managing, and renewing company domains. Had Apple done this in the first place, the company could have saved millions of dollars. Buy your own ICANN registrar and set up your own secure domain servers (this idea should be attributed to Jay Westerdal, of Name Intelligence), not only for the convenience but also for domain security. (Apparently, Apple has already done this). For products in the development stage, register any possible domain names, using a proxy (for any domain snoops out there), at least until you have decided to use or not use the name. Generate a list of possible associated, negative ("___sucks.com," "____sux.com," and "No____.com"), and typo domains, and lock it in a safe. Your domain expert should have the tools needed to generate a typo list, and you already know the features of your product and its likely future upgrades. For the negative domains, consider registering the major TLDs, including .tv and .co.uk, given that the negative domains are protected by the First Amendment (at least in the U.S.), and tend to draw a lot of traffic. If the name is already registered, and it's one you really need and want, hire a broker for negotiations. You may still pay a lot for the domain, but, at least, it will be out of the public eye. 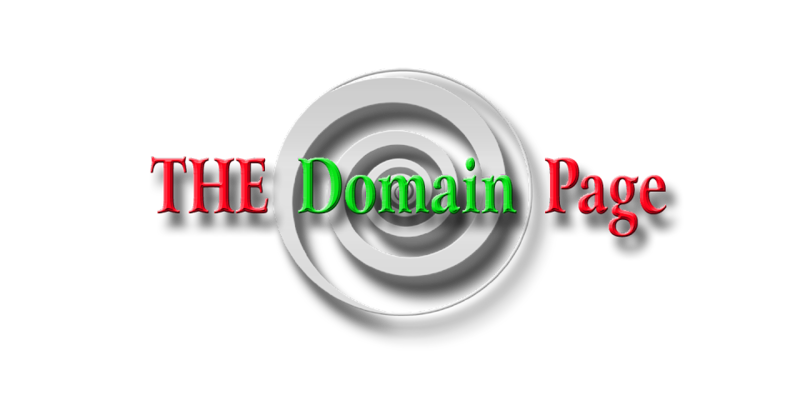 If the seller owns other domains associated with the main name, perhaps consider negotiating for all his/her associated, typo, and negative domains. Have the seller sign a contract that he/she will not register any company associated, negative, or typo name AND not reveal the sale to friends, family, colleagues, and your company's competitors (half the selling price could be placed in escrow for 60 days, to be distributed upon the seller's compliance and once the the company has completed the next step). One you have decided to use a name for a product, do a bulk registration of typo, negative, and associated domains, perhaps through a proxy (so that you can continue negotiating for the names already registered). The seven-figure iPhone.com sale might have been avoided had Apple thought ahead back in 1995, but, of course, hindsight is always 20/20. When companies finally become domain savvy (and this will happen), this will spell bad news for domainers who like to speculate on product-associated domain names, but, perhaps, we should be concentrating on finding good generics, even if we have to buy them on the aftermarket and/or snag expired names being deleted from the registrars. Just thought that I should let you know that Derek Nuhn no longer works at Semiconductor insights. I have updated my post to reflect that Derek Nuhn no longer works at Semiconductor Insights.